Amber arrived with us after she nipped a child in the home. She is shy but has shown no aggression to any staff member or vets. Her family said she is wary of tall people, especially men. She has lived with a cat and another dog and although shy, is ok around other dogs she’s met here. Amber is used to sleeping in a crate and can be shut in for a couple of hours while her humans are out. 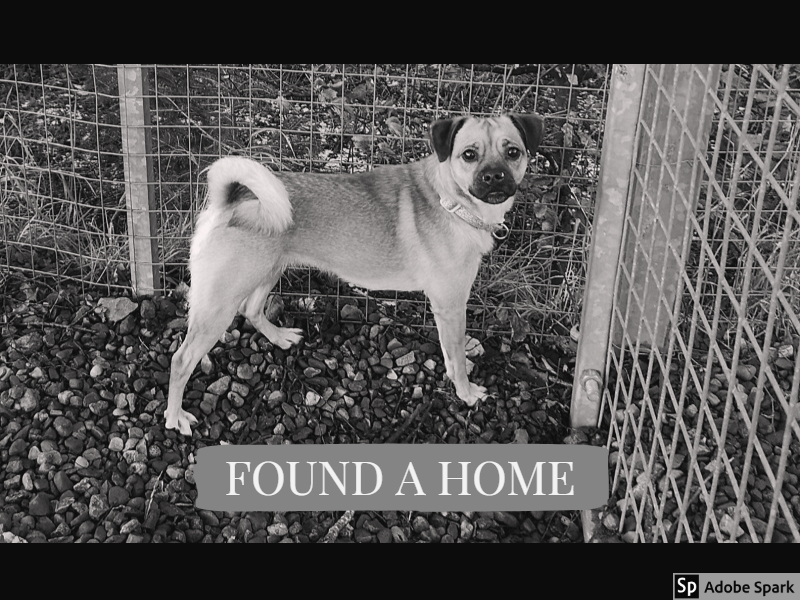 This entry was posted in Found a Home and tagged adoptadog, puggle, Rescue Dog.